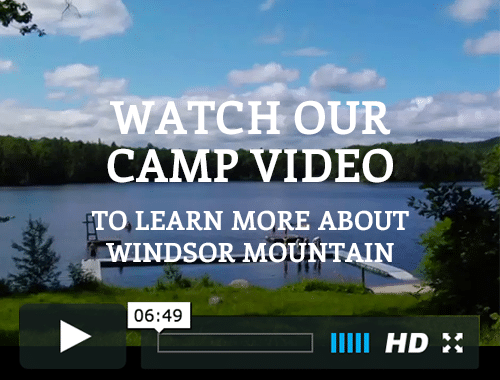 I wanted to tell you how happy [my daughter] is at Windsor Mountain International Summer Camp. We just returned from visiting the camp, and she was full of stories about her new friends, and all of the new activities and events that she has been a part of. [My daughter] is so comfortable with the staff, the kids and the low key pace of the camp. On visiting day we took her from camp for a few hours. At 6PM she told us we had to hurry to get her back to camp so she didn’t miss the evening activity. Once back at camp she gave us big hugs and kisses, then with a smile quickly ran off to join her friends. I couldn’t ask for anymore than to see her big smile as she went to join the other campers. My two kids, girl of 11 and boy of 13 from California, had an absolutely fabulous time at this camp. The non-competitive, developmental approach with plenty of individual attention made all the difference to my kids. …they were always encouraged to take things to the next level, to challenge themselves and to take calculated risks that made them grow. For my daughter entering Middle School, this was a very empowering and fortifying experience that served her well during the transition. For my son this was a relaxing experience where he was able to explore new dimensions of himself. The staff is competent and responsive, many of their counselors come from top colleges, the setting beautiful, good facilities, activities galore (guided choice), great adventures, the food healthy and delicious, excellent health center on site. Most of all it’s a camp with a heart, a place where kindness rules and kids can find their own path. I can honestly thank Windsor Mt. for 9 happy summers experienced by my 3 children. Each kid is so different, but for each I could not have wished for anything else. So many camps promise “skills” development (sports, music, theater, academics etc.) but my experience with Windsor Mountain is that what is “developed” while harder to measure is so important. The diversity in the camp population and the way camp is structured I believe has allowed for play (which is how I believe we find the work we love) and creativity, a true development of tolerance and empathy and of course (why else would my kids keep coming back) a whole lot of fun. I have loved the summers my kids have had & all of us –kids & adults- do talk about Windsor Mountain! 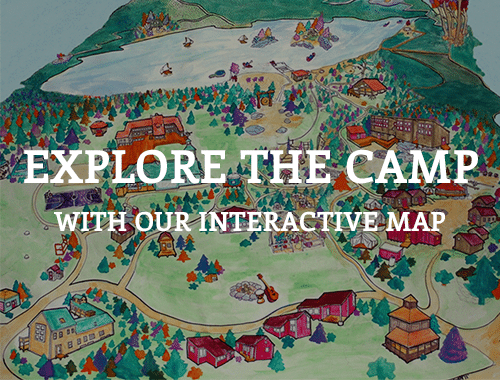 Want to thank you for the wonderful summer for my kids – they are talking so fondly about your camp. Especially for my daughter it has been a huge growth experience that’s serving her very well in starting her new school (middle school). Thank you also for reassuring me as a parent several times! I just wanted to thank you and the whole team at Camp Windsor for the phenomenal time that my son had at his first sleep-away camp experience. As you predicted, at the end of the 2 weeks, he was bummed about leaving and wanted to stay. He greeted us … at the drive entry, jumped into the car and asked if he could stay (I think before he even said hello!). He knew it wasn’t likely, but on the off-chance we said yes, he had left all of his things in his cabin with his sleeping bag neatly rolled up at the end of the bed! He had a great time, made new friends, … and had a smile on his face while relaying every story about camp. He was proud of the fact that he tried a variety of activities from water sports, sports, arts and crafts and music and disappointed in the activities he wasn’t able to do…yet. He truly respected and enjoyed his counselor and really liked the cabin environment. He tends to be fast at becoming involved in activities, but does so on the outskirts. Camp was no exception and he was only sad to be leaving just as he felt comfortable about becoming integral to the group. [He] plans on coming back next summer and to ensure that we’ll consider it, he put in a plug for his sister and what a great experience it would be for her and how much she’d enjoy the camp! 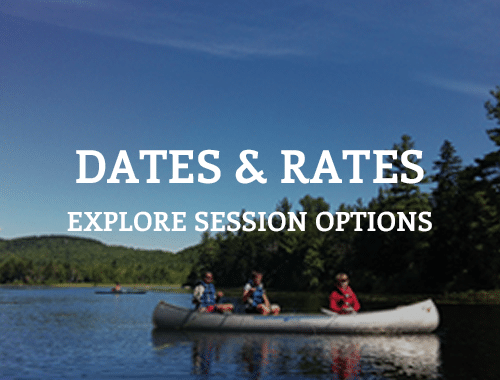 The global village begins at Windsor Mountain International Summer Camp – paradise in New Hampshire. Healthy food, the ultimate in summer fun, small groups and close bonds make each session unforgettable. … Guitar lessons… Acting lessons… Sewing… Set design… Chess instruction…. The sky’s the limit. This is a camp where feelings matter and children are respected. … Kids from all over the world come to this camp, which was formed originally in affiliation with the UN and now runs independently as one of the nation’s great private camps. … Your child will never be the same. My heart actually leaps up when I see the “Windsor Mountain” name on my e-mail! Such a wonderful, life-affirming program, never to be forgotten. I would also like to thank all of you for the absolutely amazing summer my son had. He was so hesitant to go to across the ocean alone to a place where he knew no one and had no point of reference. He grew this summer in so many ways and he had experiences that will forever be important and meaningful to him. I thank you so much for taking such wonderful care of my child, for widening his horizons, and expanding his interests. I sent you an apprehensive kid and you guys sent me back a “rock star” (or so he hopes ) 27 days later ! Thanks again and see you next summer, for sure! I have now been to camp for 5 years, and it is my favorite place in the world. My first year I was very homesick but they helped me get through it, and I’m very glad about that. WHAT AN AMAZING PLACE!!!! It has tons of activities and crazy games, but it also has very good values and a focus on building a loving community. The main theme of camp is peace and love, and those things have become central elements of my life. They have amazing travel programs, whether it’s a three day trip away from base camp, or a Bridge trip to another country, it’s all amazing. The counselors are supportive, and the campers are pretty much all really nice. The friends I have made at camp are some of my best friends ever and truly mean the world to me. Every year, I wait 11 months just for this one month of my life, and it’s ALWAYS worth it. The values, the music, the love, and the fun is really a great thing. The main music that is listened to at camp is Reggae, country, and folk, which is so good! Windsor Mountain’s uniqueness is in its staff’s ability to bridge cultural divides with friendship, respect and understanding. 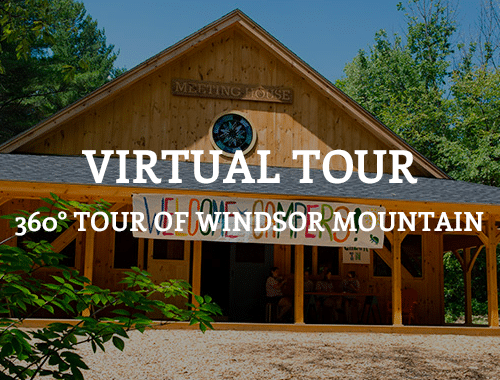 From Africa to South America, Europe to Australia, Asia to the West Coast, and hearing to Deaf, Windsor Mountain provides an atmosphere that incites excitement and passion for learning about each others’ countries and cultures. Because of its strong foundation based on experiential education, I learned more than how to ride a mountain bike, play in a band, and paddle a kayak down whitewater rapids; I learned an entirely new way to approach both intellectual and social issues that has stayed with me throughout my entire education and life. Windsor Mountain is unlike anywhere else on earth. I was lucky enough to be a student as well as a staff member. Everyone who enters the “bubble” emerges a better version of themselves. One learns the importance of individuality and how to incorporate that individuality into community. While at Windsor Mountain children learn the value of a smile and a kind word. They learn and teach one another by taping into their own strengths. I have worked at several other camps and visited many, I have never seen a place as special.